7.00 to 8.00 – Breakfast and shower in hotel. 1.00 – Break for delicious lunch in the local house near by Muong Hoa stream where you can have a nice swim. 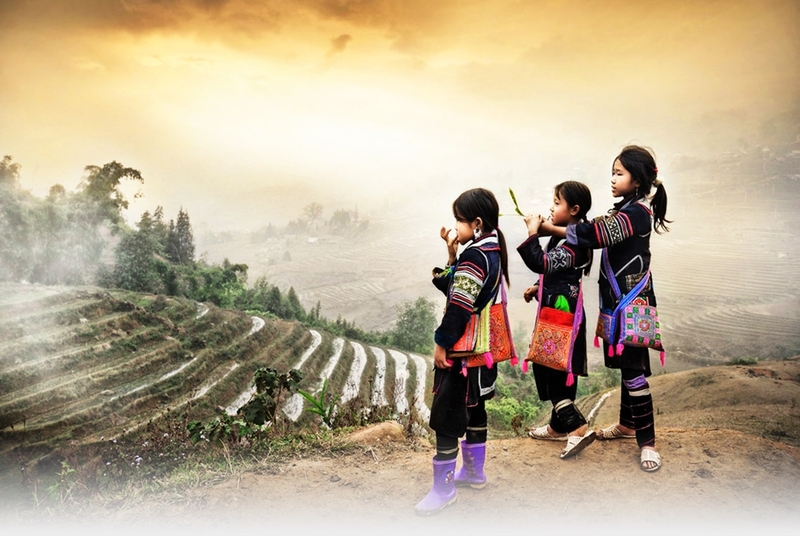 2.00 – Keep trekking through lush rice-terraces towards Lao Chao village to experience Black H`mong people`s daily life and traditional culture. 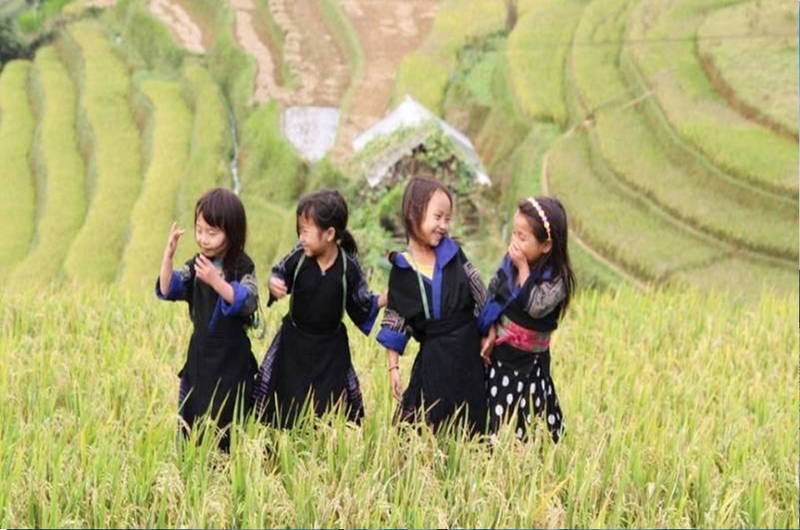 3.30 – Arrive into Ta Van village inhabited by Zay minorities exhibiting strong Chinese culture where we have dinner cooked on a wood fire enjoying the company and hospitality of our Zay family and homestay overnight. 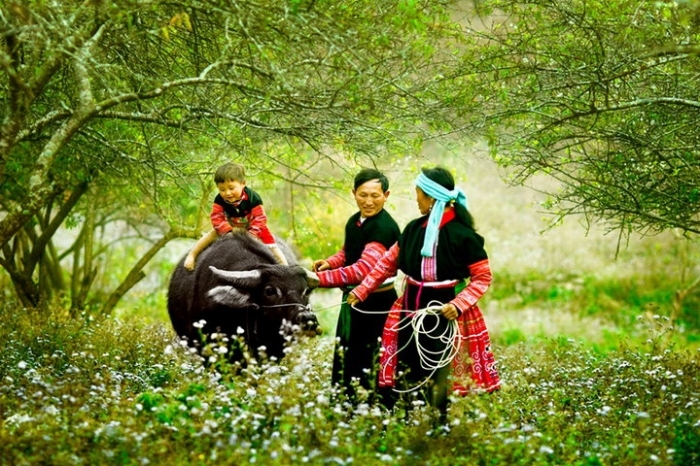 12.45 – Keep trekking into village of Red Zao minorities,visit their houses to explore their rich culture. 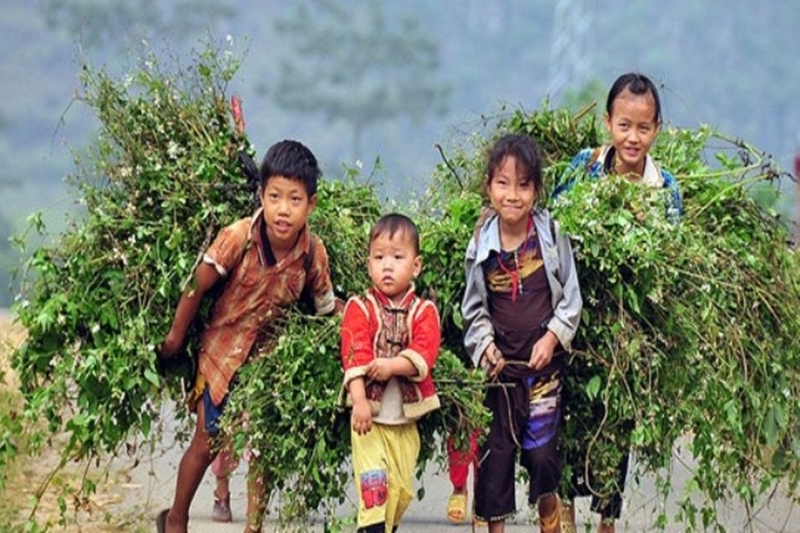 13.30 – Continue trekking down to Supan of Black H`mong people for bus pick up and transfer to Sapa. 15.30 - Bus pick up and transfer to Sapa. 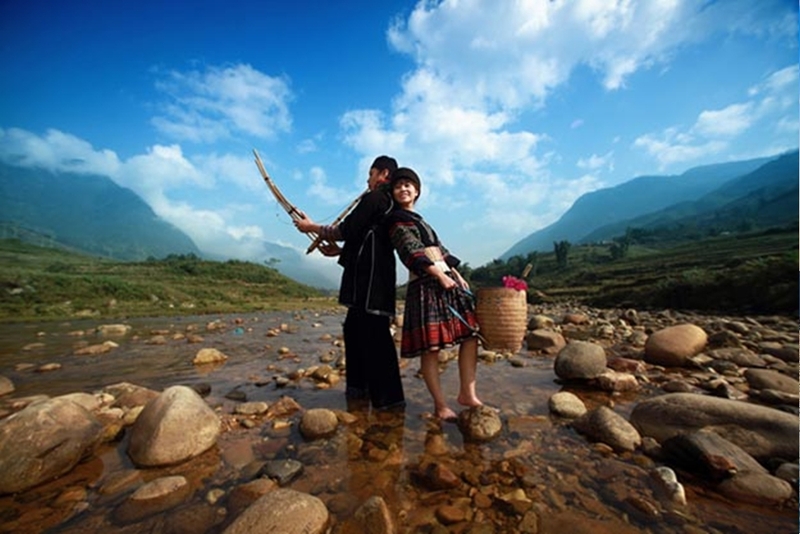 Check in hotel in Sapa and have dinner , free time for discover LOVE MARKET in Sapa town. 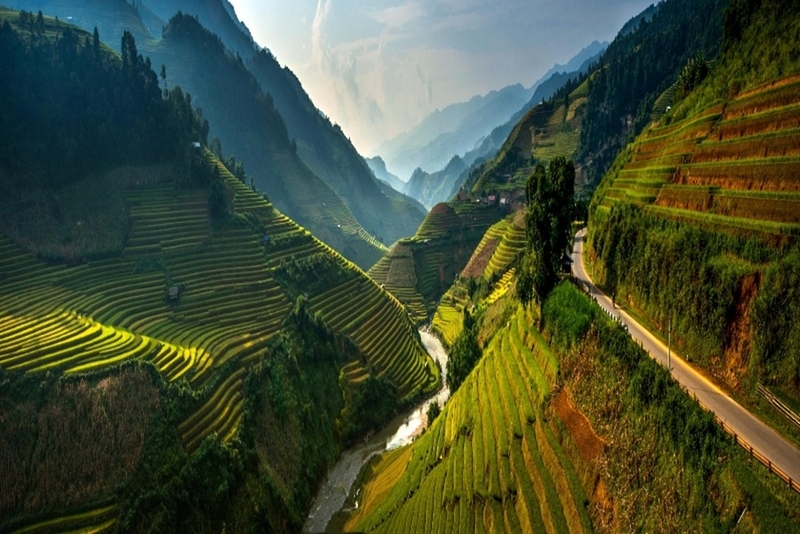 7.30 – Check out hotel and depart to Bac Ha Market. 11.00 – Arrive at Bac Ha Market. Free time for visiting one of the most colourful market in the world. This big market in North West Vietnam filled with many different hill-trible peoples such as Flower H`mong,Dzay,Tay people,…At the market, you have chance to enjoy Bac Ha people`s simple but unique kinds of food with special wines made from rice, cassavas, corn and different sorts of fruits such as plumps, apples, peaches,…talking to the monorities through the guides interpretation. 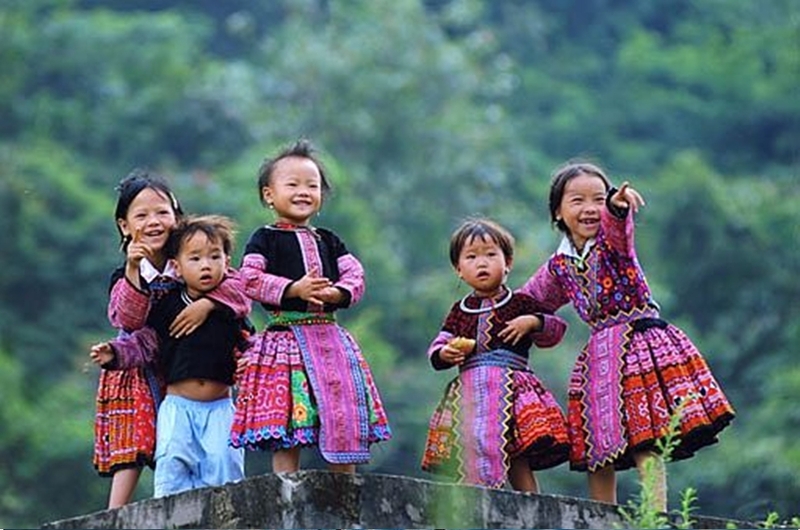 After lunch, leave the market for visiting the H`mong Kings House (King Hoang A Tuong) built by French colonists ad the Chinese in 1920, short walking to see Ban Pho village where is homeland of Flower Hmong. 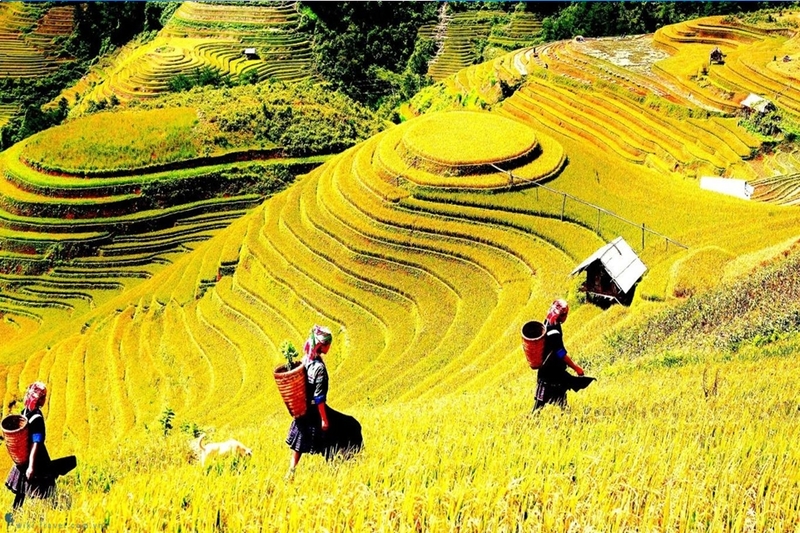 14.30 - Say good bye to Back Ha Market and get back to Lao Cai station. Having dinner before getting on night train back Hanoi. 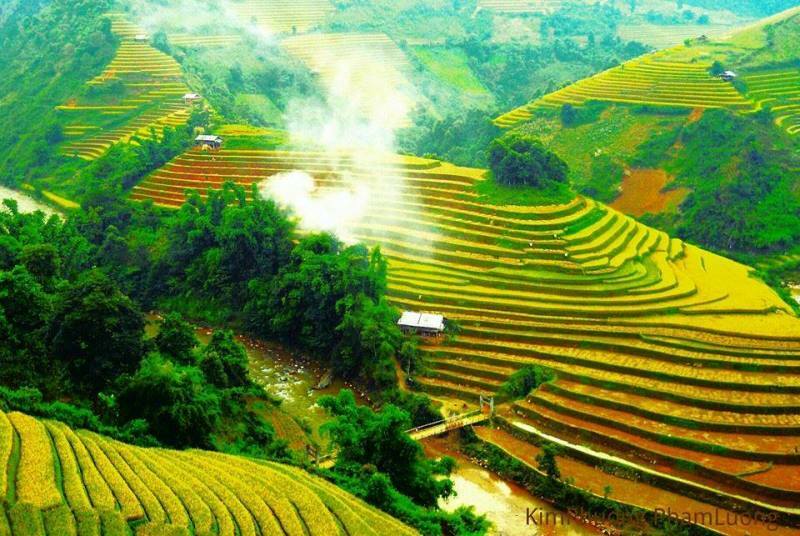 - Train tickets Hanoi/Lao Cai & return (soft sleeper with A/C, King Express, Livitran, Hatraco, Tulico, Sapaly...). 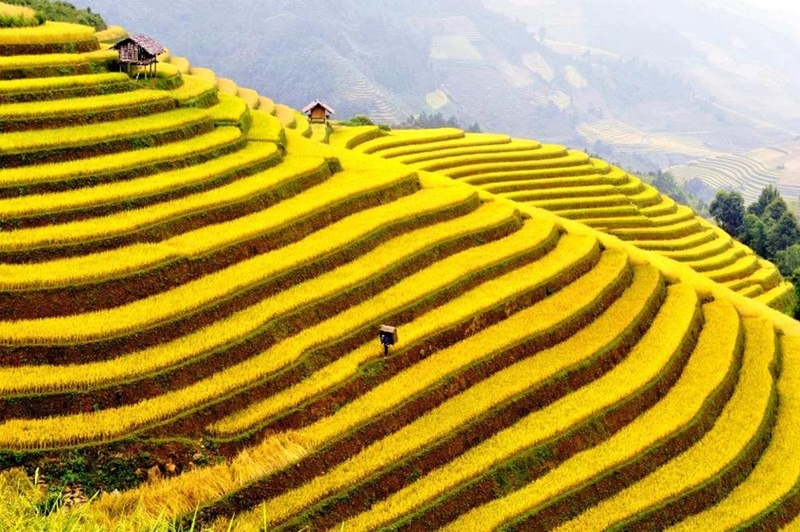 - All accommodation: Fanxipan View, Panorama , Paradise View Hotel, Sapa Lodge Hotel,. Panorama hotel ..).